Paint the Colorful World of Flora and Fauna. Check out the latest Cloth Paper Scissors latest blog post about an article I wrote for them. Paint the Colorful World of Flora and Fauna. Have you taken your art outdoors lately? Whether in a man-made or natural setting, halfway around the globe or in your own backyard, creating en plein air can result in wonderful artwork inspired by the world around you. Artist Jacqueline Newbold is often inspired by nature for her mixed-media watercolor creations. 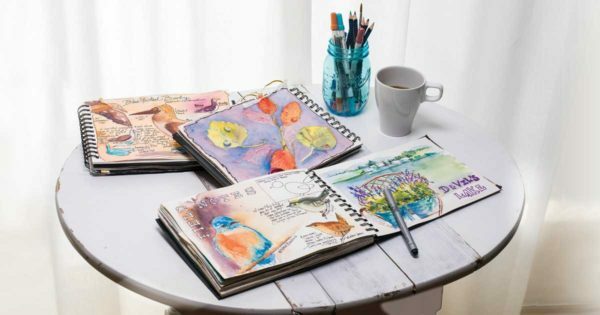 In this article from our July/August 2014 issue of Cloth Paper Scissors magazine, Jacqueline shares her easy, stress-free technique for drawing and painting colorful flora and fauna. 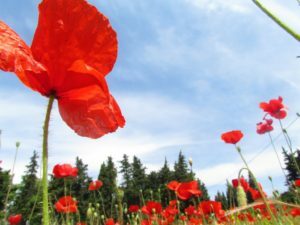 Summer sunshine and blue skies bring out tiny creatures—ladybugs, dragonflies, frogs, and more. Flowers, birds, and animals are out in full force, too. Take a closer look at the wonderful world of flora and fauna surrounding you, and you may be surprised at their color-filled lives. Along with my plant studies, I took an entomology course (the study of insects) to help me get over my fear of little creepy, crawling bugs. What I discovered, with the help of a magnifying glass, was a fascinating world of insects cloaked in the most amazing array of colorful combinations. I saw bold stripes of black and gold, coats of gorgeous metallic turquoise and copper, and delightful polka dots. These tiny creature had shimmering translucent fairy-like wings. These were just a few of the wonderful hues and patterns I found. Discovering this amazing tiny world of color did get me over my fear of insects. It continues to give me inspiration and great subject matter for my watercolor journals. When I first began adding flora and fauna to my journals, the drawing process intimidated me. I wanted to accurately depict these things. I convert flora and fauna into a series of connected ovals, circles, ellipses, and rectangular shapes, and then fine-tune the shapes as needed. It is much more manageable to think of them in this way. 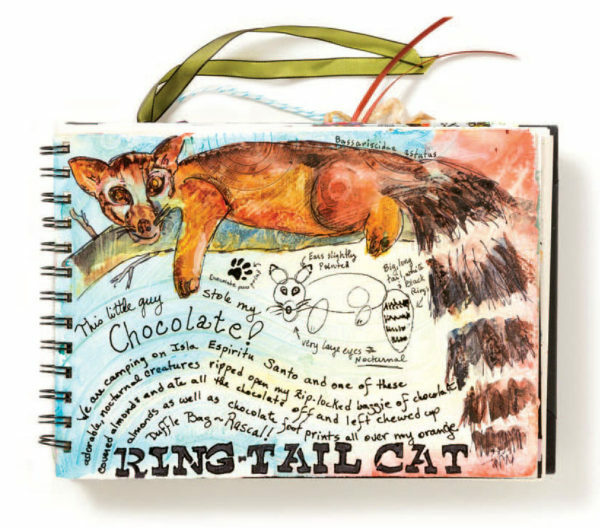 Now I enjoy drawing, painting, and adding my field observations of these delightful creatures to my journals. 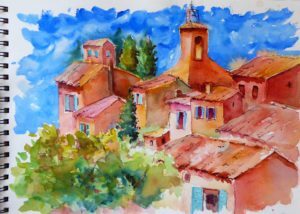 For more see the whole article and step out paintings at the Cloth Paper Scissors Blog.